This is a toss up between Smoke and Mirrors which I got for Christmas and LOVED! It's a collection of short stories, not something I read very often but they were so interesting and deliciously creepy. Smoke and Mirrors is tied with Arsenic for Tea which was an absolute JOY to read. I just loved every second of it, it's an easy, entertaining book and I loved returning to Hazel and Daisy's world! I did pretty well in Jan, I only bought 4 books, one of which I'd already read, 2 of which I read this month and 2 of which were secondhand from a charity shop! I am excited for a lot of things in Feb! Bookswise, The Sin Eater's Daughter by Melinda Salisbury and A Darker Shade of Magic by V.E Schwab, both of which I've read and are amazing! Eventswise I have Mel's book launch, Harry Potter Book Night and I am going to the theatre THREE TIMES IN ONE WEEK which is just too ridiculous! It should be good. How was your January? What are you looking forward to in February? Nearly 2015! Where has the year gone? I've had some reading up and downs this year, but I've read some truly amazing books in 2014. Here's the list of my favourites. This was a bit of a surprise for me! I wanted to read it because I liked the title and the cover and the synopsis was intriguing. I was sucked in straight away by the dry, humorous prose and the cloak-and-dagger way the story was told. It's a hard ending to swallow, but I'm glad I read this one. 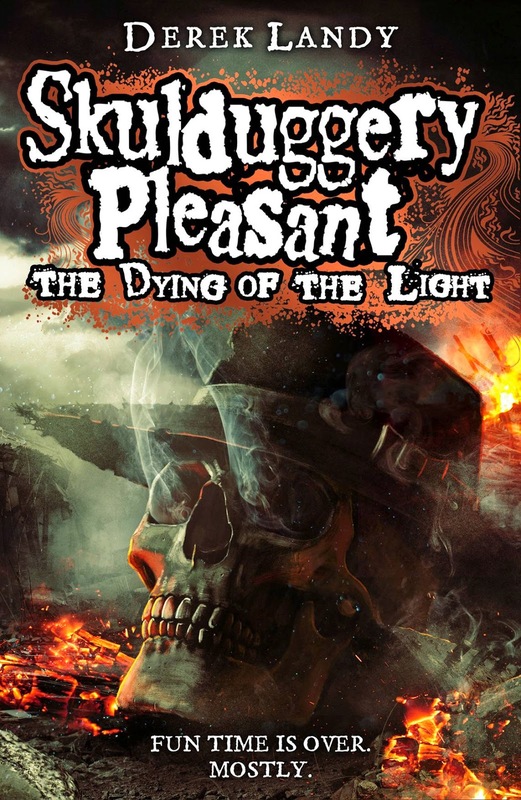 I read all but one of the Skulduggery Pleasant series last year and absolutely couldn't wait for this final instalment. I love end of series, cause I'm a big fan of answers and storylines being wrapped up and this series certainly ended with a bang. The Skulduggery Pleasant series has some of my favourite characters ever and while I'm sad for it to be over I'm excited to see what else Derek Landy comes up with. I really liked the sound of this one and it did not disappoint. I was really interested by the true story element and the setting. The voice of Agnes was really gripping and my heart was in my throat for that conclusion. 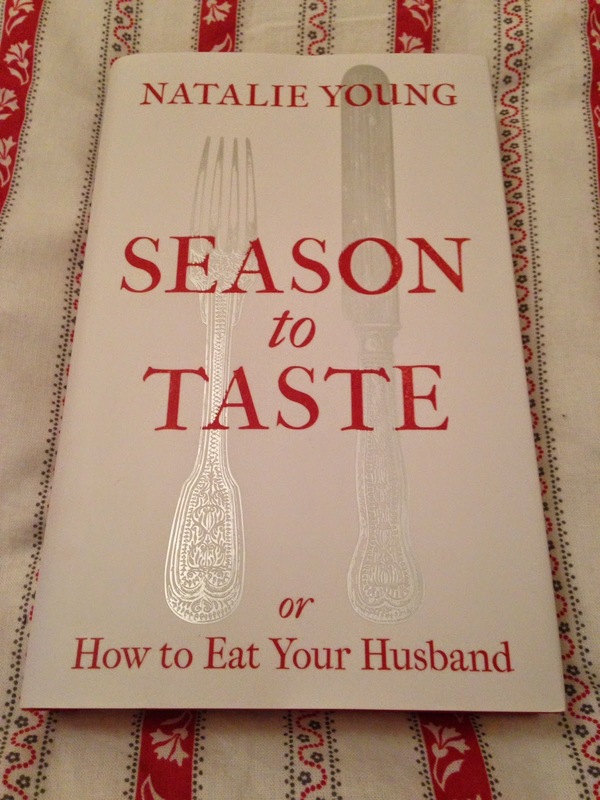 I read this one on a recommendation from a number of bloggers and it was so worth it. It's gripping and it packs one hell of an emotional punch. It's also incredibly diverse which its great to see. I followed this one right from the reveal of the original pink cover, because MG detective fiction is something some friends and I are really into. This is a witty homage to all the great detectives and the 2 main characters are absolutely fantastic. This debut fully deserves all the praise and attention it's been getting. I was fortunate enough to get to read two out of three of Stephanie Perkins books (twice) this year. While Lola is definitely my favourite of the three, I love the warmth and the instant characterisations that SP delivers. These are perfect YA Contemporaries. There was so much hype surrounding this book and That Ending and I'm so grateful I got to read it as early as I did. Before the end, this book blew me away with the writing and Cadence's struggle to find the truth. It may not be for everyone, but I loved it. 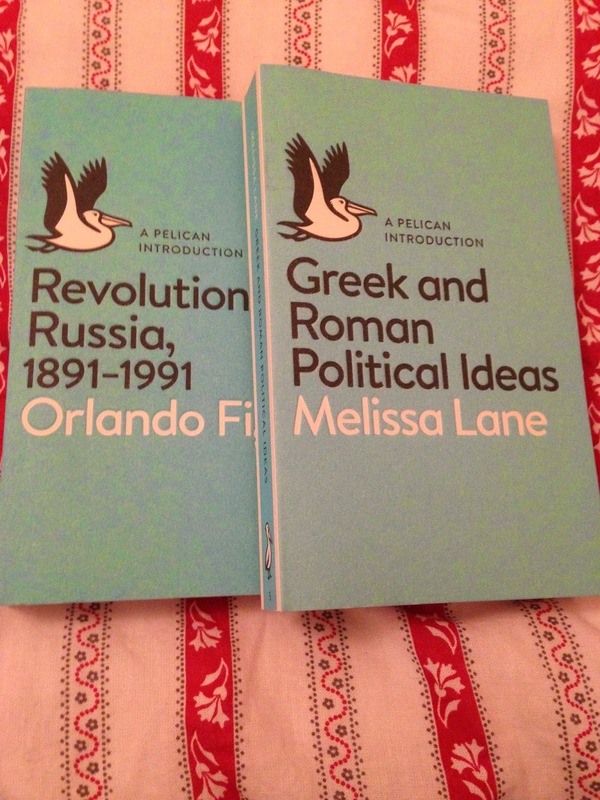 Two offerings from one of my favourite authors in one year? Perfect. And that's what these books are. 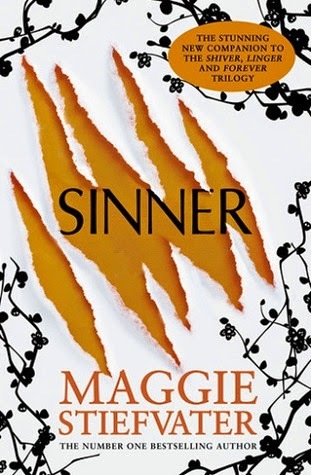 It's hard to pick a favourite, as Sinner features Cole and Isabel, my two favourite Stiefvater characters and Blue Lily, Lily Blue is my favourite of Stiefvater's worlds. Both of these were beautiful, lyrical and full of emotion. Exactly what I expect from a Maggie Stiefvater offering. This completely blew me away. If you know me, you'll be surprised by the amount of adult fiction on this list. This is the book that started it all. A colleague lent it to me and I was sceptical at first but it's just amazing, I have never read anything like it. My very favourite of 2013 was an author, rather than a book, and this theme has carried through to 2014. I read The Near Witch by Victoria Schwab back in 2011, which meant I had a whole host of delights to discover this year. I read Vicious which is, hands down, my best book of the year, but I also loved The Archived and its sequel The Unbound, and I managed to read Victoria's upcoming 2015 book, A Darker Shade of Magic, after borrowing the proof from a friend. I'm now a huge fan of this author, whose writing style reminds me of Maggie Stiefvater with its impeccability and it's lyricism and the magic of the stories is truly captivating. If you haven't already read a Victoria Schwab book, I urge you to pick one up. So, I knew practically nothing about VM until not very long ago. I missed it on TV in the UK and I was baffled by the Kickstarter.When I eventually sat down to watch it, well...where has this show been all my life? Veronica is a great model for teenage girls: she's determined, full of initiative and very smart.And Logan is just well...he's Logan. Arrow is a recent discovery for me. I always knew the title, but never what it was about which is weird cause...superheroes are right up my street. I'm now completely addicted and enjoying watching S3 'live' with The Flash, Olicity forevs. 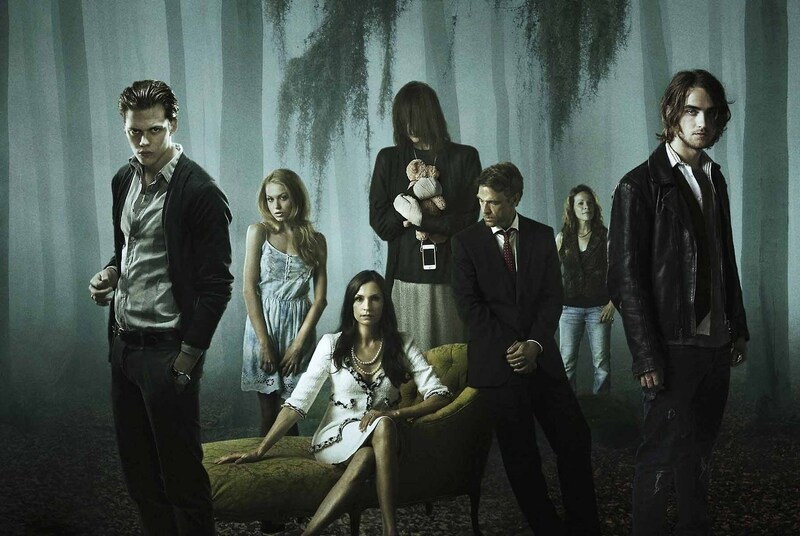 This was that show that people raved about, but I didn't watch it until just before the second season started. What a magnificent show it is. It's a Netflix original and it's so very human and so awkward and funny and real and I just adore it. The ensemble cast is perfect (Poussey, Morello and Red are my faves) and it is wonderfully acted. I had seen many, many Twitter people talking about this show but I always thought it was about car racing (LOL) until I looked it up on a whim, and realised that...it was not about car racing. This is a fun, funny, rather tongue-in-cheek reality show reminiscent of ANTM...but with drag queens. It's epic. Another Netflix original. I've only seen the first season so far but can already tell it's a favourite. Kevin Spacey is so majestic and controlled and yet so, so sinister. I love how back-stabby and complicated this is, and how it's slowly getting more and more involved. It's fantastic. My boyfriend and I watched Firefly (and Serenity) over a long weekend whilst I was struck down with that awful affliction we call The Cold. It was after much, much badgering from several of my colleagues and I have to say they were right to pester. This show is part western, part sci-fi and it is fabulous. It's funny and full of adventure and great characters. I swore I wouldn't find Nathan Fillion attractive and...I failed. It's the trousers. I'm putting these together because they are very similar (one about Aussie dance students, one about US gymnasts). They're total guilty pleasure shows, I will never tell you they're the best TV ever made but they're so very YA and extremely addictive. 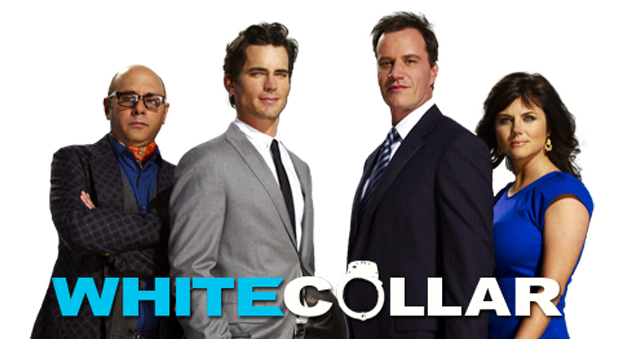 White Collar is my newest discovery, the show I turned to when I felt like I'd watched every show on Netflix ever. I was initially VERY sceptical about this one but I stand totally corrected. It is very watchable, charming and funny. I rather love Matt Bomer and his roguish character, and the cute little bromance he has with his FBI handler Peter Burke! Have you seen any of these? Any of them on your list? What other shows do you recommend for a girl who feels like she's watched everything? I was one of those people that was happy with the end of Forever. I liked not fully knowing what happened, getting to imagine my own reality. But when I heard Maggie was writing this standalone novel focusing on Cole and Isabel, I knew it would be the book I didn’t even know I wanted. And it is marvellous. It is everything I love about Maggie Stiefvater; it is raw and polished all at the same time, it is full of feeling and heart and soul but it is never cliché, the characters are beautifully imagined and what characters they are. Cole and Isabel were always my favourite, and to have a book focus on their story is such a treat. From the very first page I felt at home in this world, with these characters. I wanted to crawl inside the pages and never leave. I wanted to wrap the story about myself like a comfort blanket and snuggle into Maggie’s beautiful prose. Isabel is one of my favourite YA characters. She’s prickly and mean, she can’t handle emotions and is so, so broken. She is completely real and mesmerising, she lashes out, she closes down and maybe, just maybe, she’s starting to thaw. Likewise Cole St Clair. The boy with 2 sides: his public persona and his true self and we saw much more of both. Cole’s public self is in LA to record an album while starring in a reality TV show, but his real side is here for Isabel and their relationship throughout this novel is electric, tumultuous, and completely engrossing. Seeing Cole and Isabel drawn together, torn apart, both of them fighting every step of the way (though fighting different things) was completely mesmerising. The plot was almost secondary to me; I just wanted their interactions. The way everything came together, the way it ended how it began, yet differently, is sheer Stiefvater perfection. That woman is a true artist. TL;DR: The Wolves of Mercy Falls novel I never knew I needed but fell completely in love with. Cole and Isabel are electric and the story evoked nostalgia and a whole host of emotion. I need to go and reread the trilogy now. June! I'm looking forward to June cause some good things are happening. Let's see how I got on with May. So, this will come as a shock to those of you who know me well...not only did I read an adult book in May but it was my favourite book of the month! Life After Life by Kate Atkinson is magical and moving and just all round wonderful. Thoroughly recommend it. So after a pretty good April...May went a bit insane again. I seem to be doing one month on, one month off when it comes to book buying! Pretty happy with May! I read a lot of middle grade, a couple of adult books (including a literary fiction, gasp) and put to bed a series I've loved since before I started blogging. I also watched Make It Or Break It on Netflix which I LOVED and Orange is the New Black which is super amazing; cannot wait for S2 on Friday! 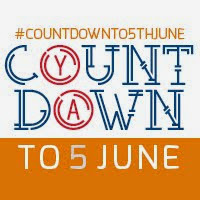 Welcome to my Countdown to 5th June post! 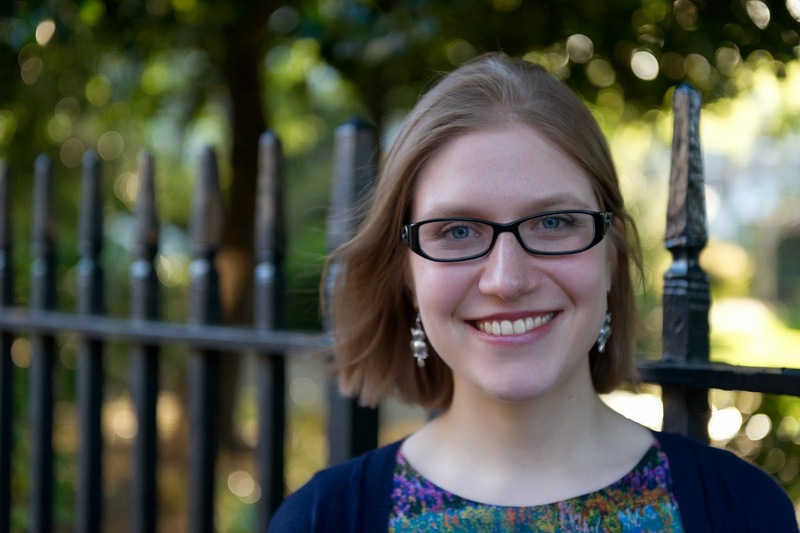 I am hugely excited to welcome Robin Stevens, the author of one of my favourite books of the year, Murder Most Unladylike! 1.Murder Most Unladylike is a fantastic combination of 1930s boarding school story and murder mystery…what was it about these two things that made you want to put them together? I've had this idea for a book in my head for about ten years, for two very good reasons: first, I've been fascinated by murder mysteries ever since I can remember (seriously, if there was a nasty death involved I was on it. When I was seven I had a Ghost Society with my best friend and we’d try to contact ghosts to find out who killed them), and second, I went to boarding school! It’s such a perfect closed system – you can’t come in unless someone lets you, but once you’re in you can’t leave, so there will always be a finite number of suspects who know each other really well. Because you’re stuck with the same group of people every day, tiny arguments get blown up into something huge, and everyone knows everyone else’s nasty secrets. I realised that it was the ideal place to set a murder mystery – I was always a bit saddened one never happened in real life, so I decided to take the second-best option and make one up! 2.Who was your favourite character to write? Absolutely Daisy. Hazel is far nicer, and if I met her in real life I’d get on with her a lot better, but Daisy is just so much fun. Her voice is a joy to write, because I can make her say such ridiculous, awful things. She actually makes me laugh out loud – which I figure is a good thing, even if it is a bit weird. 3.As a huge fan of boarding school stories (especially when set in the 30s!) I loved how Murder Most Unladylike was so reminiscent of the stories I adore…how much research did you need to do for the book? For the murder mystery elements, none at all! I’m a massive detective fiction nerd – I actually did my university dissertation on it, so I could genuinely go on all day about the conventions of the genre (you probably don’t want me to do that, though). For the boarding school part, I did draw a lot on my own experiences of school life and all of my favourite boarding school stories – but I also tried to do research to make sure that I got the period detail right. The most useful non-fiction books were The Long Weekend by Robert Graves, A History of Cheltenham Ladies’ College 1853-1953 by A. Clarke, A Modern History of Hong Kong by Steve Tsang and The 1930s Scrapbook by Robert Opie. That last one is particularly brilliant – it’s just a massive glossy compendium of 1930s adverts, so much fun to ogle! 4.We have talked before about our mutual love for the Pongwiffy series by Kaye Umansky, what were some of your other favourite childhood reads? My dad grew up in the 1930s and 40s (yes, really – even though I’m 26 my uncle fought in World War Two), and then passed on his favourite books to me – so I had all of Enid Blyton’s books, the Swallows and Amazons series, Sherlock Holmes – and Agatha Christie, of course. Apart from those, I was (and am still) obsessed with Diana Wynne Jones, Eva Ibbotson, Michelle Magorian, Terry Pratchett, Brian Jacques, J. K. Rowling and also (extremely oddly) a book called Dave Barry Turns 50, which is a non-fiction comedy memoir about a guy who grew up in America in the 1950s that I stole from my mother’s bookshelf. Seriously, I read everything. 5. What books would you recommend to fans of Murder Most Unladylike? It depends on the fans! For awesome girl detectives, try Helen Moss’s Adventure Island series or Lauren St John’s Laura Marlin Mysteries. For the detectives who inspired Daisy and Hazel, read the Sherlock Holmes stories, or any Christie book starring Poirot or her lesser-known (but charming) duo Tommy & Tuppence. For an excellent boarding school mystery, read Christie’s Cat Among the Pigeons or Josephine Tey’s Miss Pym Disposes (that one’s probably more for 14 and up). And for great, realistic-feeling portrayals of the 1930s and 1940s, read Michelle Magorian’s novels (again, many of these are for older readers). I've definitely got a sweet tooth, and I love to bake – Hazel’s obsession with food comes from my own. But although I've lived in England since I was three, I grew up on very American flavours (my mother is American, and spiritually she still lives in or around Chicago). So my ideal cookie is oatmeal raisin, and I love baked cheesecakes, cinnamon buns and pecan pie. My favourite British cake is coffee and walnut (this makes an appearance in the book), and my favourite biscuit-out-of-a-packet is a chocolate digestive. My mince pies are famous – but I’m still not sure I’ll ever understand fruitcake . . . Absolutely! In fact, I've just given the second draft of Wells & Wong 2 – which will be called Arsenic for Tea – to my editor. Murder Most Unladylike is a school murder mystery, Arsenic for Tea is a country house murder mystery and now I’m thinking about the initial plot for the (as yet untitled) Wells & Wong 3. I haven’t settled on anything yet, but I think I want to send Hazel and Daisy on a journey – with a murder attached, of course. But although the settings keep changing, Hazel and Daisy stay just the same as ever – and some of my favourite characters from Murder Most Unladylike will also return in the two sequels. I’m not going to spoil you by telling you which ones . . . Thanks so much for these marvellous answers Robin! 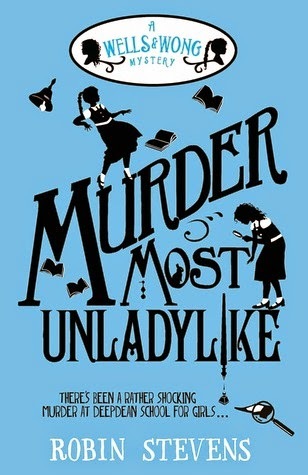 Be sure to read Murder Most Unladylike when it's released on...yep, you guessed it, the 5th June! Reason for reading: the twist! the twist! We don’t know much as the story starts. We know something happened to Cadence two years ago, on the island where her family spends their summers. We know she can’t remember what it was. We see Cadence struggle with debilitating headaches, see her life fall apart around her, and see her slowly, painfully, attempt to piece it back together. Cadence is the very definition of unreliable narrator; she barely remembers that whole summer, let alone the event that triggered her memory loss. Cadence returns to the island two years after the incident to discover the truth of what happened there; the truth so awful she forgets it whenever she is told it. The awkward, grasping feel of the present on the island is interspersed with Cady’s idyllic, dream-like recollections of summers past and with whimsical fairytale retellings. An interesting narrative style that left me feeling as though I was constantly teetering on the precipice of a massive revelation; dangerously close to a horrible truth, yet a touch too far away to see it clearly. The overall effect is unique and very haunting, wrapped up in the most luscious and elegant of prose. Cadence, the Liars, their families and the island were all described so vividly they felt tangible. I was completely enthralled by them all and their ridiculous, privileged, appearances-are-everything existence. You should hate them, or feel sorry for them, but I was addicted. I couldn't get enough of them. The more Cadence told us, the more I wanted to know. 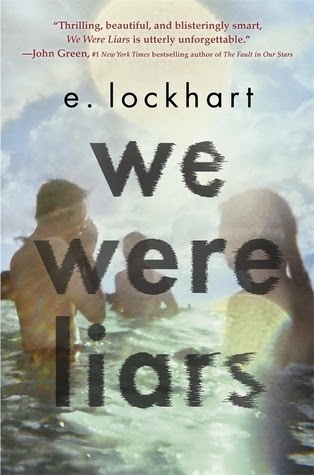 The ending did come as a massive shock because I was just so immersed in the world of We Were Liars. It's the kind of ending that makes you wonder how you missed it, makes you want to go back and read it again to catch the clues, makes you wish it wasn't so. But you shouldn't read this for The Twist, or because of how hyped up it is, read it because it is beautiful and painful, because it is love and loss and because it will make your heart ache. TL;DR: A beautiful, haunting story told in beautiful, haunting prose. Don't try to figure it out, just enjoy it. It's May! I like May because there are bank holidays and bank holidays mean an extra reading day. Or in my case last weekend, an extra day for marathoning TV shows. 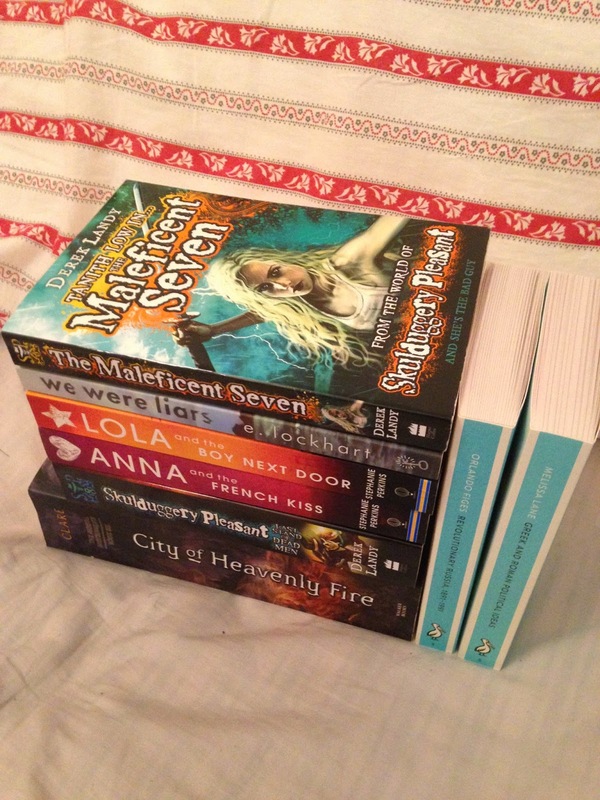 After a pretty insane March I wanted to scale back my book-buying in April and I definitely achieved that! The first Adventure Island book and Far From You were bought with my work discount and I got the Veronica Mars book from the Book Depository. I'm reading it now and while it's nowhere near as good as the TV show, I am really enjoying it. How did you do in April? 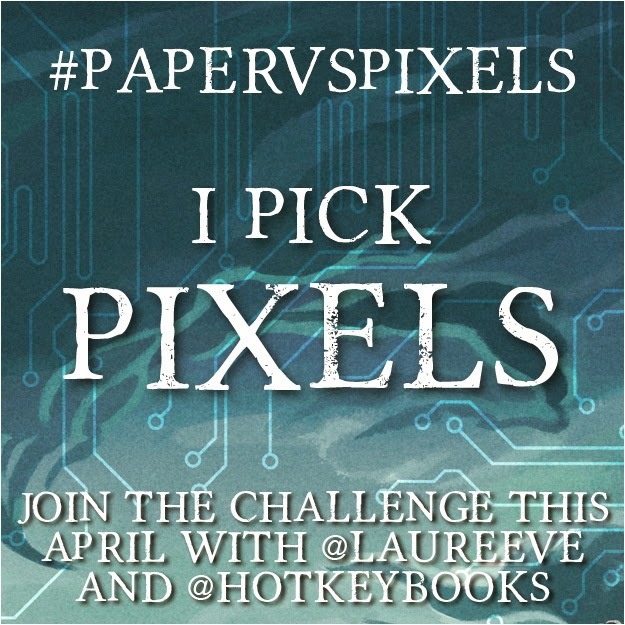 What are you most excited for in May?